A Taco Bell application is more than just a pathway to a new and exciting career. It’s an opportunity to join one of the most widely recognized and universally loved Mexican-inspired restaurant chains in the United States, priding itself on making over 30 million people happy, in thousands of locations across the country, every week. When the late Glen Bell opened the first Taco Bell in Downey, CA, 1962, it was founded on the same core principles that the company strives to uphold today. Such values include dedication to an exceptional level of customer service and a commitment to provide hard-working American people with affordable food of the highest quality. Staying true to Glen’s legacy, employees benefit from a corporate culture that reflects these qualities. The Taco Bell community is one in which members enjoy working in an ethos of shared respect, and one that is always hiring enthusiastic candidates for a varied range of fun and creative job opportunities. 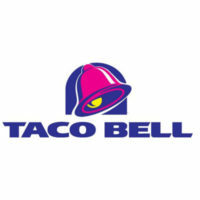 Taco Bell employs over 150,000 people and currently operates around 5600 food outlets throughout the United States. Yum! Brands Inc. – of which the Taco Bell Corporation is a subsidiary, along with many other well-known restaurant brands – is traded on the New York Stock Exchange. The positions available are as diverse as the people who hold them. Customer-facing roles are fast-paced, but can be enjoyable and challenging. With opportunities ranging from Team Member to Shift Leader, all the way up to General Manager, working in one of Taco Bell’s many stores is an exciting, fulfilling prospect. Away from the front line – but no less crucial to success – responsibilities for Admin Support, Accounting, HR and IT fall to people based in the corporate division. With a continued demand for innovation in an ever changing industry, those seeking careers in Marketing & Communications, Operations or Food Quality will find no finer place to flourish. You must be 16 years old. In certain cases, job-specific age requirements are applicable. For this reason, it is recommended that all applicants double-check for any age or experience related requirements before they apply for jobs at Taco Bell. Employee benefits include Health, Dental and Retirement plans, including 401k. Just as appealing is a generous Employee Discount – not to mention a free lunch. You can also take advantage of a proactive training scheme, using online tools to expand knowledge and develop an internal career. Working hours will vary, depending on the type of job, where you are based and if the role is full or part-time. Most stores are open early till late, with shifts designed to accommodate the local needs. Before making an application, try to build an idea of what hours you might expect to work. Team Member – As the face of the company, being a Team Member carries a great responsibility. They deliver a polite and helpful service to patrons, whether taking orders, preparing food, handling payment, or assisting customers. Pay is usually just above the minimum wage, at around $8 – $9 per hour. Shift Leader – This is a job best suited to those with a knack for problem solving and an ability to guide others. Supporting the General Manager, they are responsible for maintaining high standards of quality, service and safety. Shift Leaders can expect a base rate of around $10 per hour. General Manager – Capable of deploying effective teams to achieve high standards, General Managers are accountable for the overall operation of their restaurant. They are able to train and educate staff in the needs of the business and the importance of its values. Salaries in this rewarding position can range between $35,000 – $56,000, usually depending on store size and targets. Area Coach – Responsibility for inspiring leadership and encouraging the guiding principles falls to an enthusiastic team of area coaches. Coaches are ambassadors, championing the brand and focusing on developing new talent in a way that creates a positive atmosphere in stores, and encourages growth in sales. Salary can start circa $55,000, with potential to increase to as much as $75,000. Be prepared – here are a few example questions you should be ready to answer. Why would you like to work at Taco Bell? Your interviewer wants to know what has drawn you to employment with the company. Focus on shared values and career progression. They want someone who is serious about Taco Bell careers, not a person whose head is turned by wages. What would you bring to the table as an employee? Sell yourself and don’t be shy. Give examples of when your hard-work and dedication has benefitted a team. Choose aspects of your personality that you know will complement the business. How much do you know about our ethos? It might sound casual, but this is a real test. You have to show that you have researched the role and the company. Be sure to immerse yourself in the latest news and marketing campaigns before the interview, including other Taco Bell jobs. What would you say is your biggest flaw? The trick here is to flip a flaw into something positive – for example, being too much of a perfectionist, or always caring about the tiny details. What are your aspirations for the future? This is the most important question. Nobody wants to hire someone who is only going to be around for a few weeks. Tell them you want to build a successful career and make a real difference – the phrase ‘internal progression’ is useful here. A direct application shows initiative. Apply for Taco Bell jobs online by filling out an application form from the company website. There is a ‘download application form’ facility to obtain to printable application for Taco Bell, though paperless applications can be submitted when you apply online. Take care when filling out your free application. Read every section at least twice, following instructions carefully. Your Taco Bell application is your personal introduction, so make sure it is clear, concise and above all honest. The interview is often informal, lasting around 15 minutes. You may be talking to your prospective Shift Leader or General Manager, if you have applied for a restaurant job. Answer their questions honestly and directly, expressing gratitude for their time. These 15 minutes are all about you – use it to market yourself as a potential asset. Knowing your resume backwards is crucial. You are likely to be asked questions on the things you have mentioned in it. Make sure that you fully understand the job description too – consider bringing a printable application form with you, even if you have already made an online application. For more information on how to apply for Taco Bell online, follow the link to the offical jobs page below.